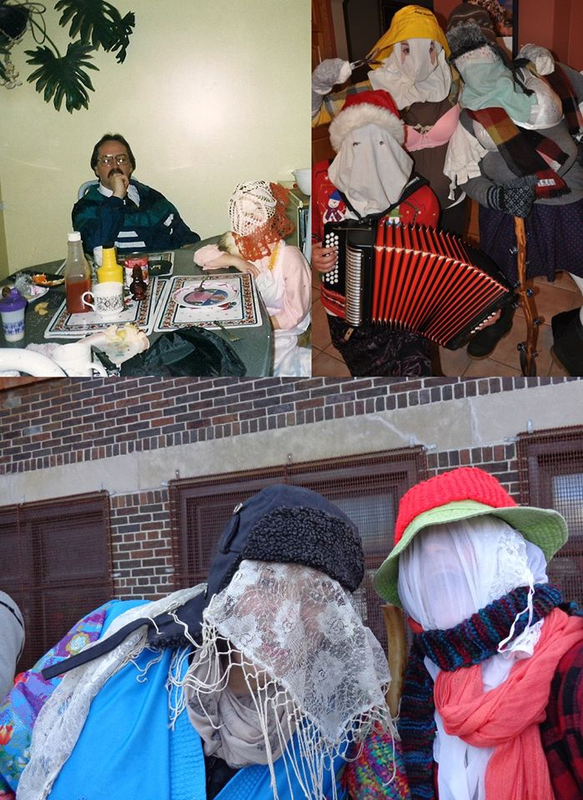 ICH Intern mummering through the years. Hi all my name is Terra Barrett and I am a St. John’s native who has just completed the requirements for a BA with a major in Folklore and a minor in French from Memorial University of Newfoundland. I am returning to Memorial in the fall to complete my MA in Folklore with a focus on public/applied folklore. My interests include foodways, customs, material culture and public folklore. This summer I am joining the Heritage Foundation as a summer works intern. This position will include a combination of fieldwork and office work. The fieldwork will include interviews with community members of the town of Petty Harbour. This interviews will focus on the community’s vibrant social life and activities such as community concerts, singing and recitations. The other project I will be working on will involve developing a survey for museums and community groups. This survey will assess which traditions and customs are important to the communities and how they would like them to be preserved. I will also be assisting Dale and Lisa whenever they need a hand such as the upcoming cemetery workshop for Anthropology students as part of Memorial’s Make Midterm Matter or the interview techniques workshop in Trinity. Today is my first day on the job and I’ve been working on compiling a list of oral history questions to use in the field. I’m looking forward to heading to Petty Harbour on Wednesday and to a great summer in the Intangible Cultural Heritage Office with the Heritage Foundation. If you have any memories of growing up in Petty Harbour or the social life within the community please contact me at terra@heritagefoundation.ca or (709)739-1892 extension 5.